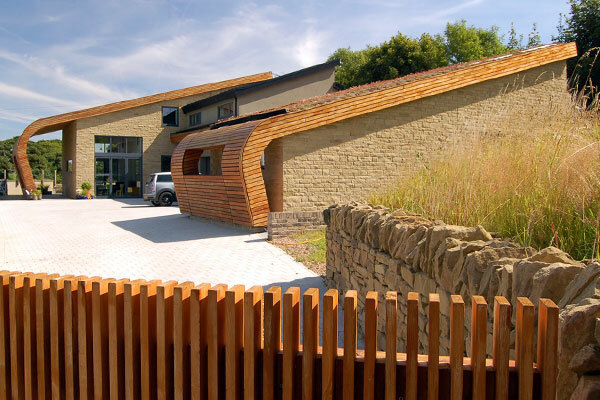 Curves and natural materials flow from outside to inside, this is a lesson in carefully settling a large house into its context as it ages the timber will soften to reflect the woodland behind and the green roof will flourish and blend with the green fields. 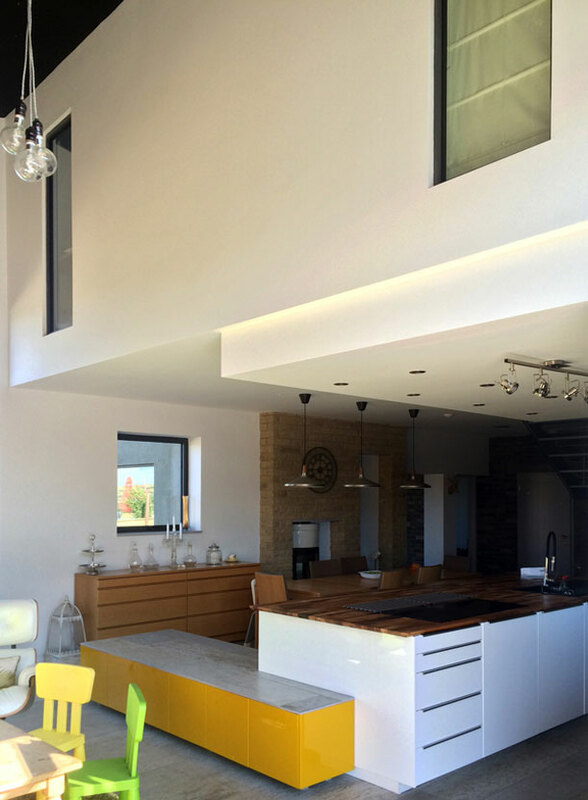 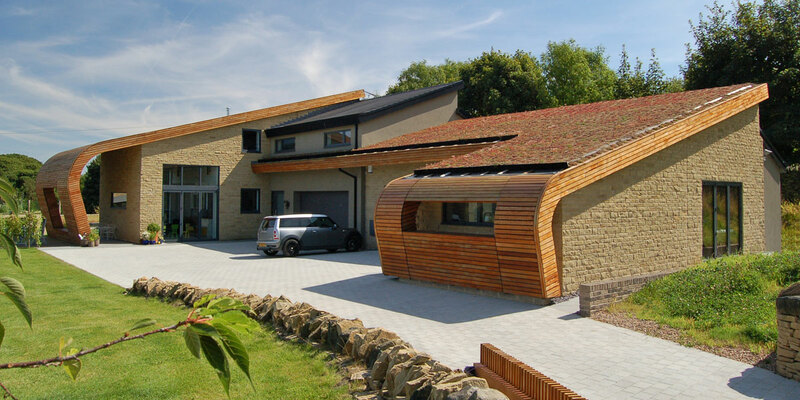 All encapsulated within an incredibly well insulated low energy home. 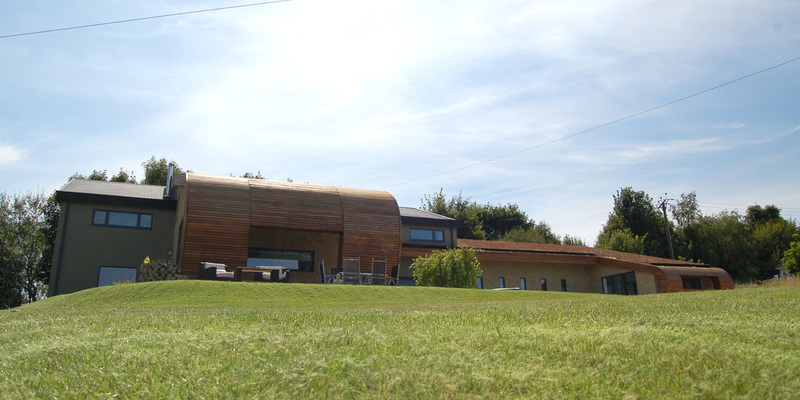 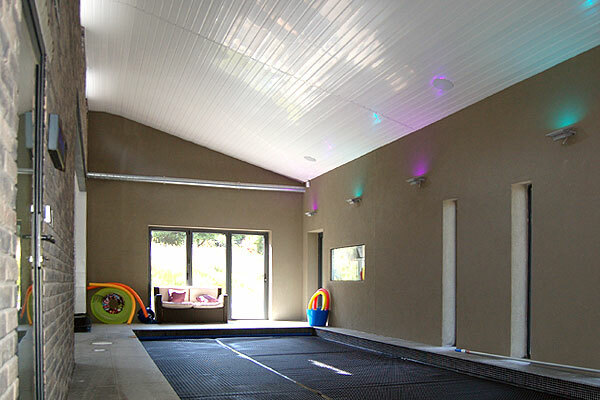 The Air Source Heat Pump heats the house and the swimming pool; the photovoltaic panels produce some of the electricity required by the ASHP and the mechanical Ventilation Heat Recovery System and highly insulated fabric result in a building that has very modest heating bills for its size. 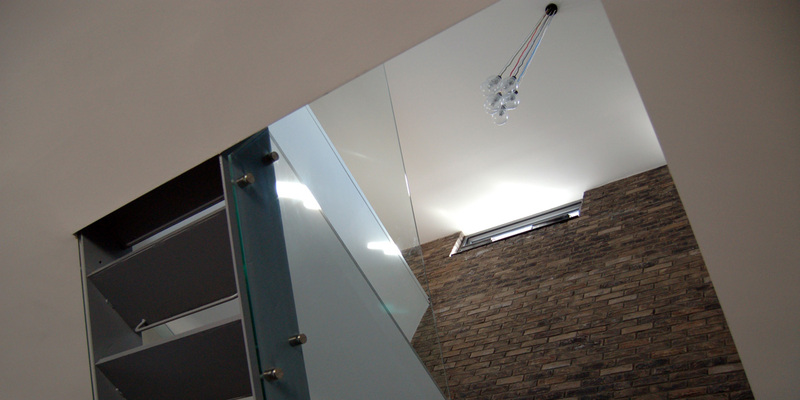 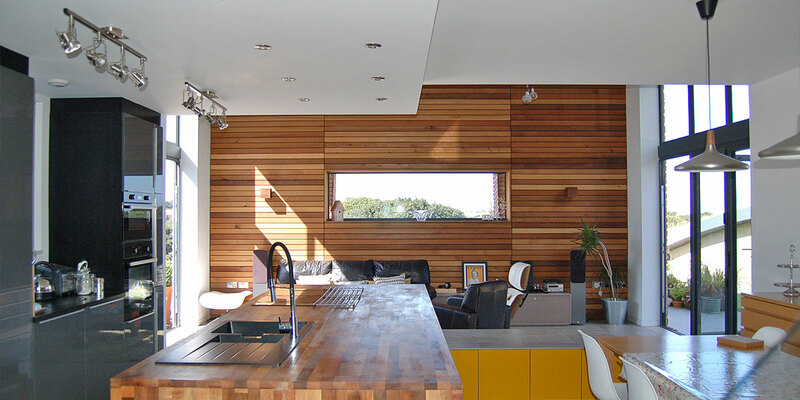 Brick, Stone and Cedar were brought inside & combined with steel & glass to create a modern yet natural interior.